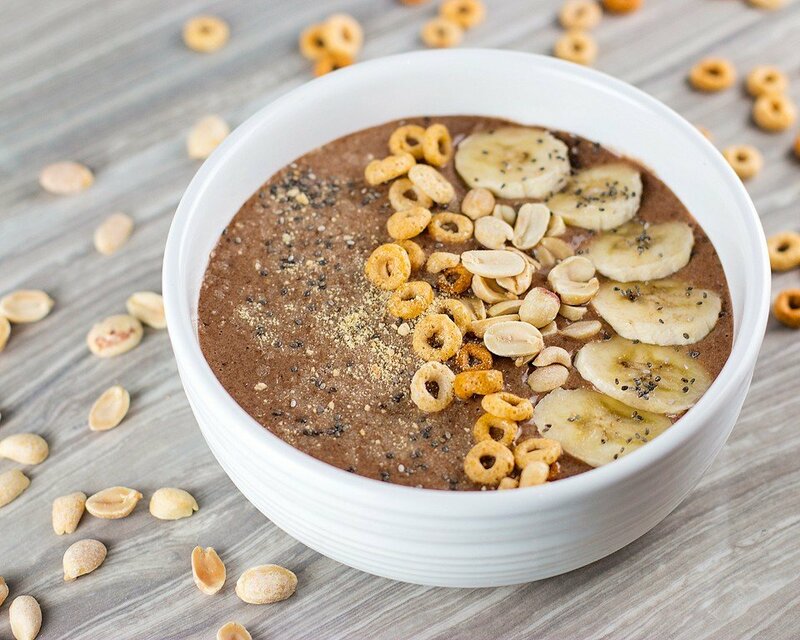 This chocolate peanut butter smoothie bowl tastes like you are eating ice cream. I am not kidding one bit. It is so good! 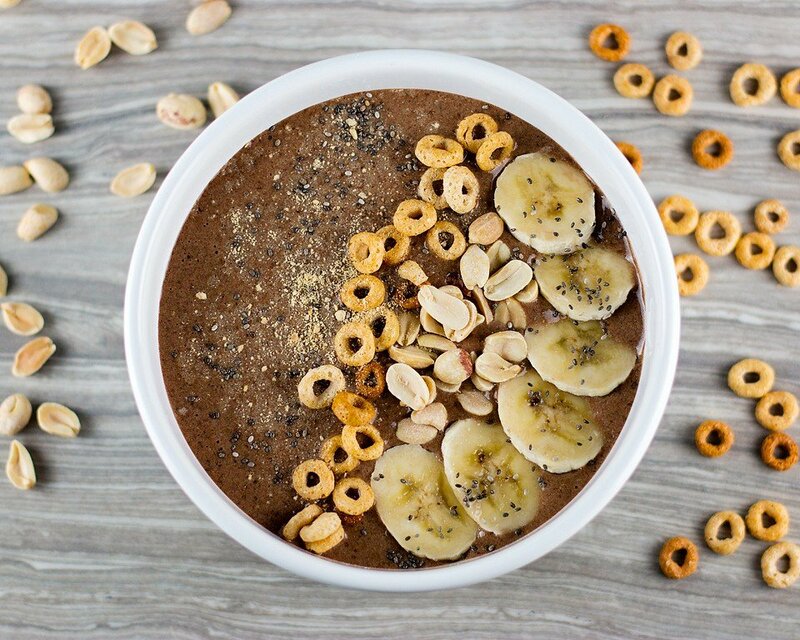 If you love the amazing flavour combination of chocolate and peanut butter, you will love this chocolate peanut butter smoothie bowl. 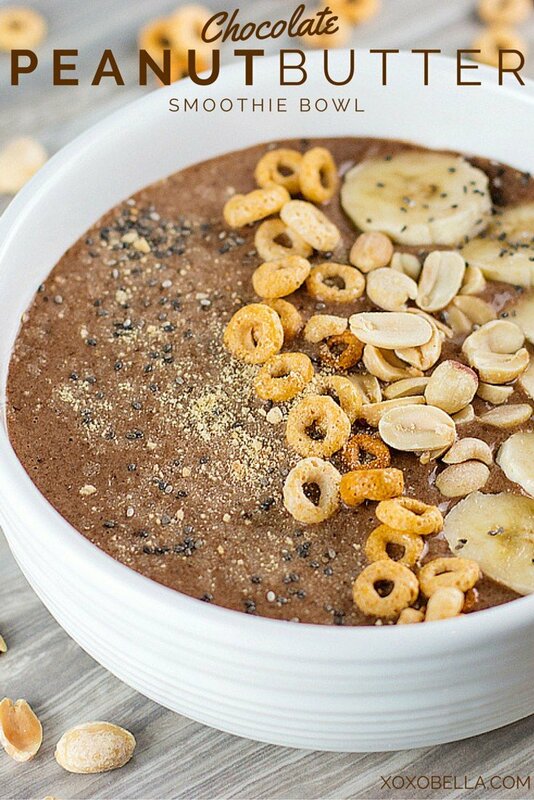 It is extremely easy to make because it uses cocoa powder and Jif Peanut Powder. 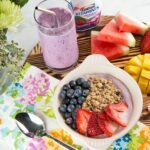 In less than 5 minutes you will have a delicious breakfast that is hearty enough to keep you full until lunch. There is no reason not to be keeping your healthy eating resolutions! 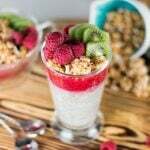 You can substitute in Greek yogurt instead of milk or try it with soy milk. 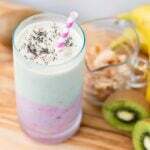 If you don’t have frozen bananas, you will need to use some ice cubes. 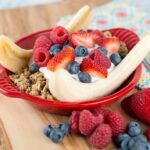 I peel and freeze bananas that are too ripe to eat, so I always have a few frozen ones on hand. 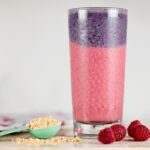 Check out this layered peanut butter berry smoothie if you are using peanut powder in your smoothies. It is pretty and delicious! Don’t make a habit out of choosing what feels good over what’s actually good for you. I hope you have a great Monday! It is just a typical Monday for me…gym, school, volunteering and probably lots and lots of homework. 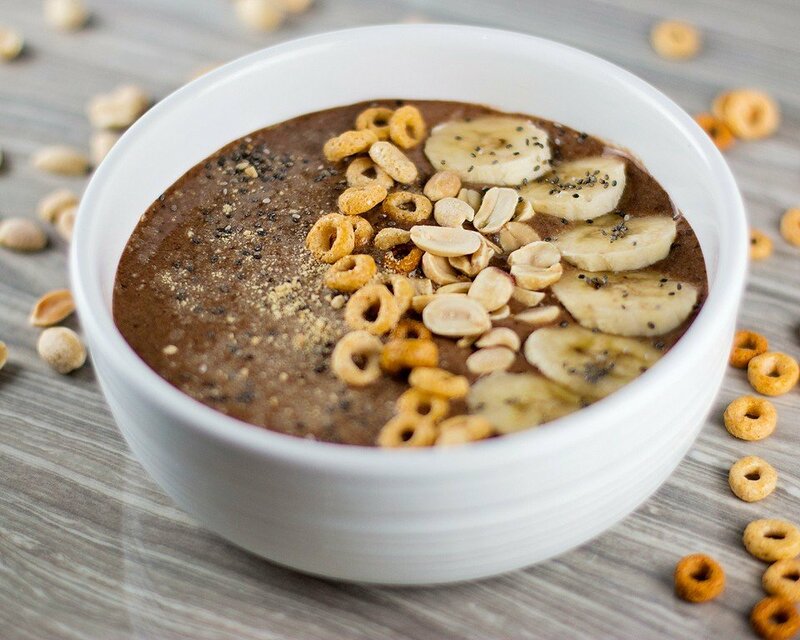 Place the milk, bananas, peanut powder, cocoa, and, chia seeds in a blender and blend until smooth. 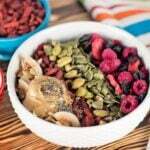 Pour into bowl and garnish with toppings.